Today I'm checking out Green Bench Sunshine City India Pale Ale. Sunshine City is the nickname for St. Petersburg, Florida, which holds a Guinness World Record for consecutive days of sunshine, 768 back in the late 60's. 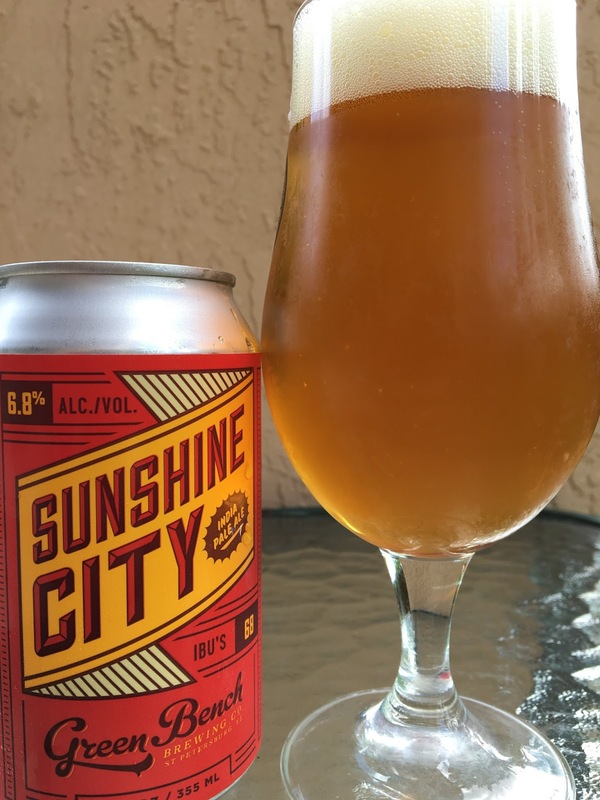 Sunshine City IPA is brewed to be "as bright as the warmest summer day." Equal quantities of Mosaic, Citra and Azacca hops were used; just reading that makes me ready to crack this one open. 6.8% alcohol. 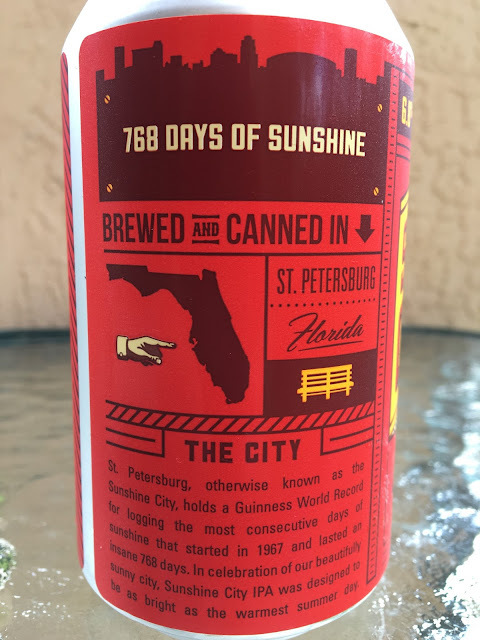 68 IBU. Terrific aroma full of tropical oranges and peaches and mangoes, just a hint of pine in the background. Flavors follow. Super juicy, orange and mango bursting with flavor. Spicy pine follows with a great answer. Sweet start meets a bitter finish. Nice beer!